Dogs are truly companions for life, and for so many dog parents out there, watching their beloved pets age from playful pup to graying senior is a bittersweet journey. 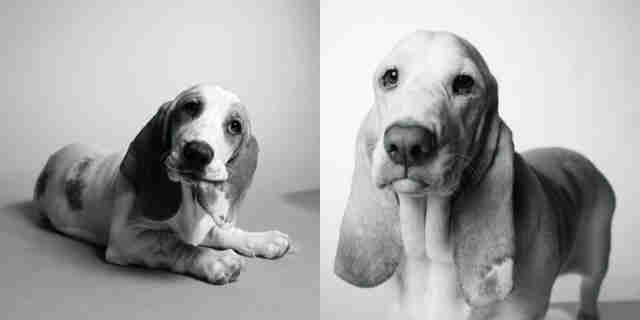 That's exactly what inspired pet photographer Amanda Jones to take these poignant portraits of dogs, visiting them as puppies and then again years later to see how they've grown and changed. 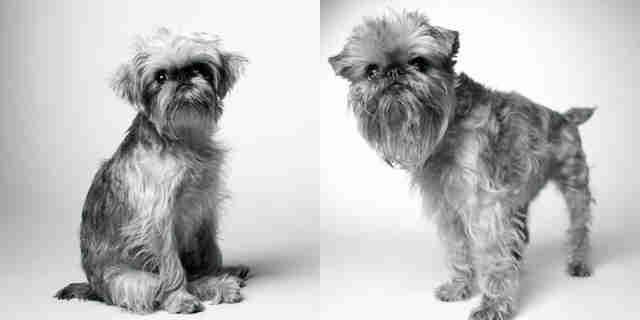 Jones recently compiled the photographs in a new book, "Dog Years," which follows the lives of 30 dogs. "A dog's life is a span that marks so much in our lives," Jones writes in the introduction to the collection. "My time spent with these dogs on the set and in their homes has been an amazing journey and learning experience." 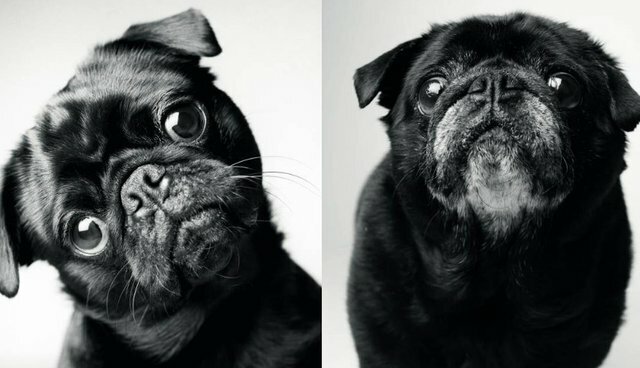 The inspiration for the photographs came from Jones' first dog, a Dachshund named Lily, whom Jones watched age from a tiny puppy to an old, familiar family member. "Lily was with us for sixteen wonderful years," Jones writes. "We bought a house, had a baby, and through it all dear Lily was there with us - passing the time, being by our sides, joining us in our adventures of life." 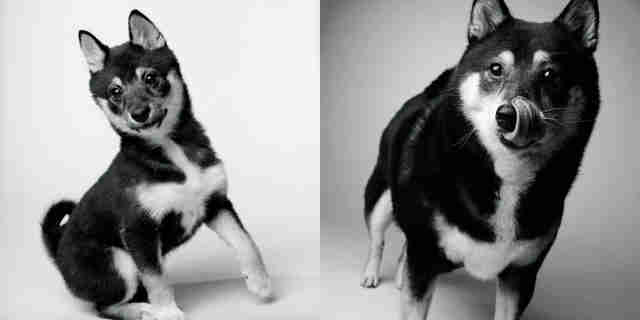 These portraits capture those relationships as they played out for dozens of dogs - who saw their families through years of challenges, joys and changes. 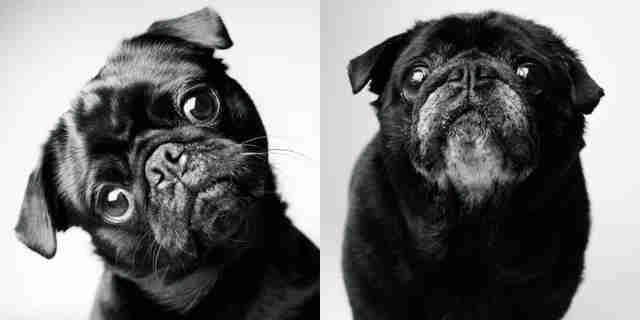 Portraits taken so many years apart show the effect that time has had on dogs - but they also show how, deep down, the dogs we love are still the same as the fluffy, wacky and weird little critters they were as puppies. Just like with humans, the years gave them a little more experience ... and a few more gray hairs. "One thing that remains constant is the love people and dogs have for each other," Jones writes. "That does not change, no matter how many dog years go by." "Dog Years" is available here.